An impressive 5 bedroom detached family home offering a whopping 149 sq m of accommodation. The property benefits from two separate reception rooms, conservatory, kitchen/breakfast room, two bathrooms along with a cloakroom downstairs. The landscaped garden faces west and is screened for privacy. There is a deck area perfect for entertaining or soaking up the sun. The garage is 18' long with access from inside and off road parking. Opposite is a small Children's play park which will be ideal for families or visitors with small children. An impressive 3 bedroom semi-detached family home which has been stylishly designed with an attractive family bathroom, en-suite shower room to the master bedroom, a fitted kitchen breakfast room opening to the dining area with French doors out to the garden and a dual aspect living room. 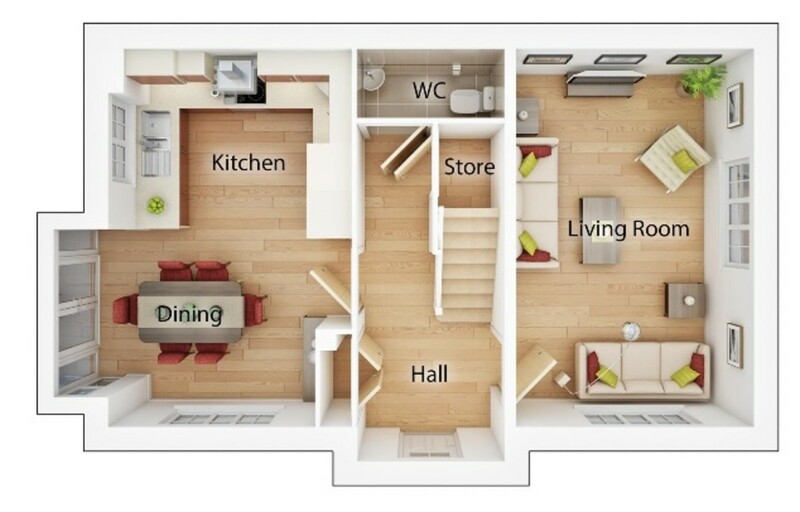 All-in-all, a well thought out design offering spacious and desirable accommodation with parking spaces. OUR COMMENTS: An impressive and most stylish, 3 bedroom semi-detached family home situated on a superb modern development in the beautiful village of Storrington. Internally the property has been stylishly designed with an attractive family bathroom, en-suite shower room to the master bedroom, a fitted kitchen breakfast room opening to the dining area with French doors out to the garden and a dual aspect living room. 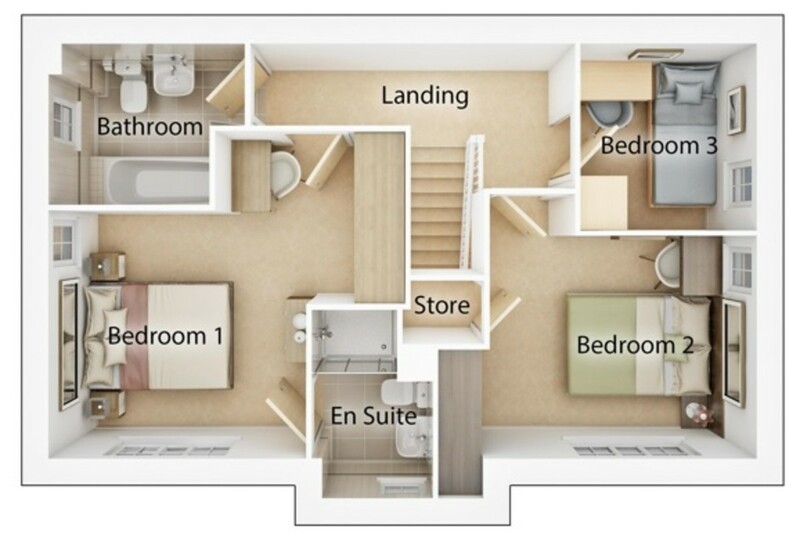 All-in-all, a well thought out design offering spacious and desirable accommodation with parking spaces. Storrington village centre 1.25 km away has good facilities including good local eateries and pubs, hairdressers to hardware. The local primary school is 500 meters away so no more sitting in traffic on school runs. A24 connects you with Gatwick in under 40 minutes. AGENTS NOTE: The photographs and internal decoration are an illustration only using images from the show home. Depending on the style of home and plot the size and style of the home will vary and internal furnishings are not included.